The usual cost of this 2 day training course is £300. The Charity for Civil Servants will be running the training at a significantly reduced rate of £100. You will need your line manager’s approval that your department will pay the cost for the course and any travel. Please check your department's policies towards MHFA (or equivalent) training - some areas of the country and some departments have their own arrangements for describing and training in Mental Health awareness and support e.g. MH Advocate, Ally, Ambassador, Buddy or Champion. If you would like to attend the Mental Health First Aid training, please email Vanessa or Lynda to request a booking form. Places will be allocated on a first come, first served basis. Will this course be available in the Yorkshire area anytime please? Lynda could I please have an application form sent to me at Andrew.francis@foodstandards.gov.uk? I would like to attend the Birmingham course if possible. Hi Lynda, could you please send me an application form to Andrew.francis@foodstandards.gov.uk? I would like to attend the Birmingham course if possible. We could really do with this in London. I completed Mental health first Aid training some years ago. I wish all staff on the front line could be trained! Anybody thinking about this should go for it! I did this last month and found it interesting and informative. Kath and Paul are great. I haven't managed to put my skills into practice yet but it has give me the confidence to be able to help or lend an ear to someone in need. Courses like this should be more readily available especially with us hearing about/or knowing so many suffering from mental health issues. Hi, ive been trying to get on this course since November last year. Any chance you have a course running in the North West? Hi my colleague will be in touch. There are a number of people in the Liverpool area interested in this course, would it be possible to organize a session in the North West please? Hi, I've replied via your e-mail. 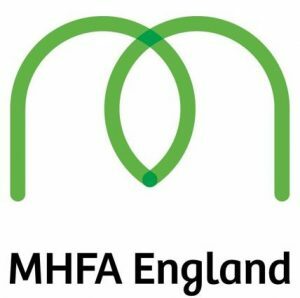 Please could you send me an application form for the Birmingham and/or Nottingham MHFA England course? Hi there I would like to know if this course is going to be run in London at anytime soon? Will there be a course in Bristol any time soon? There will be other courses but venues are yet to be confirmed. Please keep checking the Blog pages. Will there be any courses in the North West? Hi, I would also be interested in a London based course. Will keep an eye on this blog for announcements. Jacqui, you may find it helpful to subscribe to the blog so that you can be notified if these courses are being run again in your area. Note that some department's use different terms to describe Mental Health awareness and support e.g. MH Advocate, Ally, Ambassador, Buddy or Champion. Some departments offer their own MHFA (or equivalent) training.